The very first residents of Faarufushi, the Maldivian hotel island, were welcomed on March 21, 2019 with a festive choreography of boduberu, a traditional Maldivian folk ritual animated with dance and music. Faarufushi, located in the Raa Atoll, accessible by seaplane or domestic flight, is a resort destination of 80 refined villas, surrounded by one of the nation’s most beautiful coral reefs. 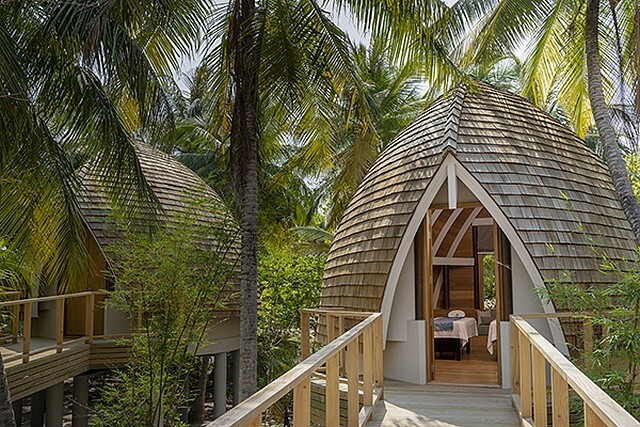 In this archipelago of 1200 islands, including more than 100 hotel islands, the Faarufushi resort, a Small Luxury Hotels of the World, is distinguished by its minimalist architecture, its discreet, meticulous and attentive service, and the experiences it offers, often linked to local culture. The villas are a bubble of well-being of a beautiful simplicity: a smooth, modern and soothing decor. Placed on the beach or suspended on the sea, these villas are benevolent paradises arranged with scrupulousness and delight. 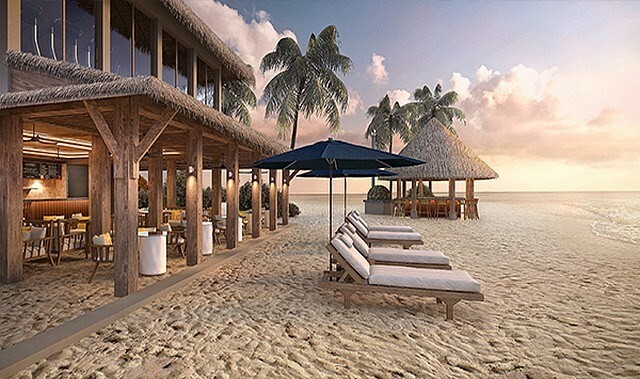 Refrigerated wine cellars, espresso machines, large closets are some of the special features of the attention paid to Faarufushi’s residences, not to mention the private overflow pools that accompany 70 of the island’s 80 villas.